Fast pans and quick cuts of details of MeeBot walking and dancing on a perfect white infinity background. Camera pulls back to see full body of MeeBot and graphics come up in synch with VO: Build. Program. Share. Scene closes with a close-up of MeeBot. 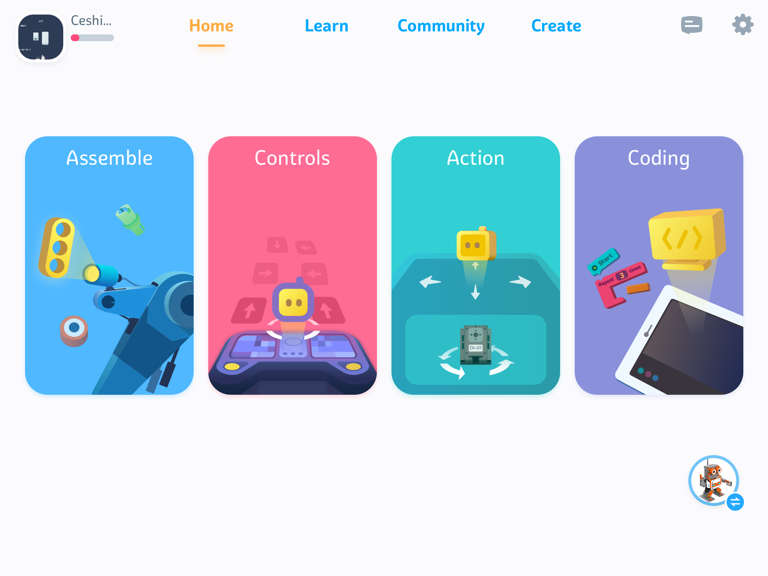 Welcome to the world of Jimu Robot, an interactive robotic building block system that lets you build, program and then share your own robots with the Jimu Robot community. Jimu Robot kits come with everything you need to build your robot including the free Jimu Robot app. Interlocking pieces snap together without needing any tools and the Jimu Robot app gives you 3-D 360˚ animated instructions that make assembly easy. Your robot’s pieces simply snap together by hand, no tools required. With the MeeBot Kit you can create this adorable robot character. And with the Jimu Robot Animal Add-On Kit you can turn him into 4 different animals: a penguin, a parrot, a walrus or a ferocious T-Rex. Jimu Robot interconnecting parts are interchangeable so you can create just about anything you can imagine and then program it do just about anything you want. 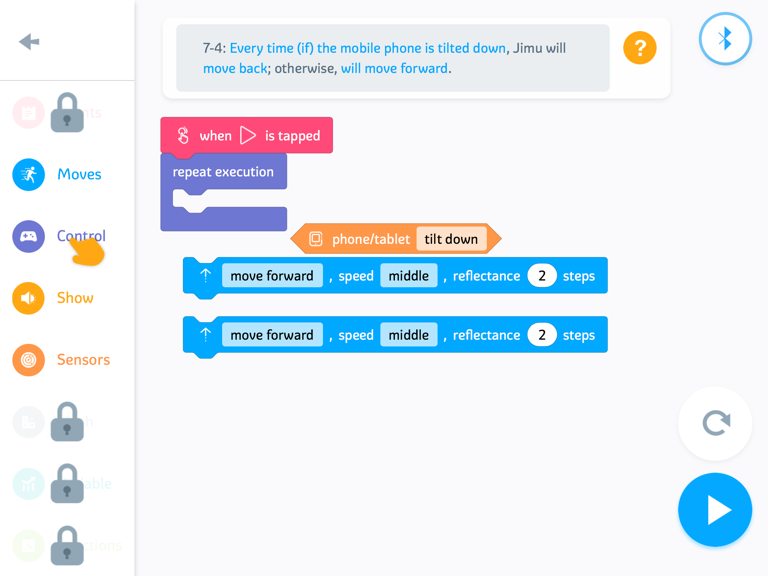 The Jimu Robot app has 3 different ways to make your robot move. You can select a sequence of any of the pre-programmed actions, use the Pose, Record & Playback mode to program custom movements or directly control the action in the Remote Control mode. The Jimu Robot play pattern is aligned with STEM curriculum and bridges the gap between learning at school and learning at home through a creative and extremely gratifying experience that kids love. 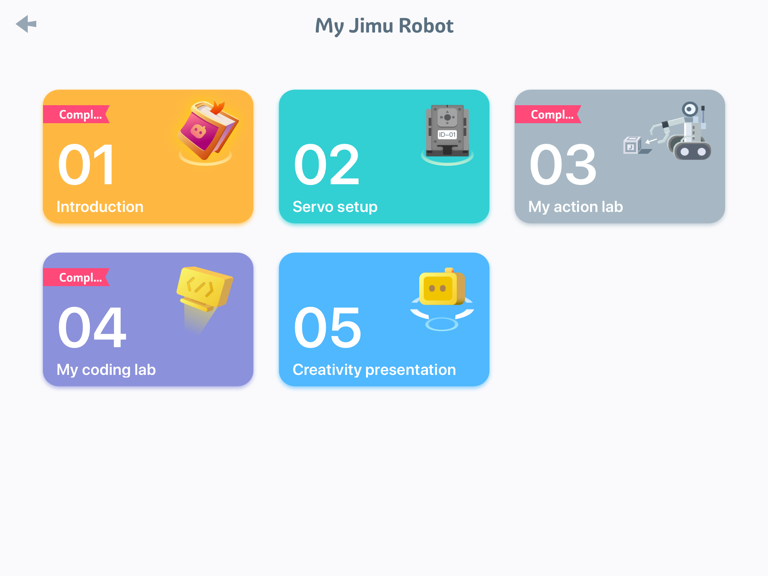 When you’ve finished building and programming your robotic creation you can share it with other Jimu Robot enthusiasts all over the world by uploading photos or video to the Jimu Robot Community found on the app. You can visit the Jimu Robot Community often to see what’s new and get inspiration for your next robotic invention. Or check out to see how many “likes” your latest creation has received! Jimu Robot, the fun and easy way to Build, Program & Share your very own robots. The Jimu Robot MeeBot & Animal Add-On Kits can only be found at Apple Stores and on Apple.com. Jimu Robot, the fun and easy way to Build, Program & Share your very own robots. Make your imagination move. Create a humanoid robot that's uniquely yours with UBTECH's Jimu Robot Meebot robot kit—and program it with the free Jimu Robot app on your iPhone or iPad. The kit's six robotic servo motors give your robot smooth, life-like movement. And an amazing array of interlocking pieces snap together to build pre-designed animal characters or anything else you can imagine. 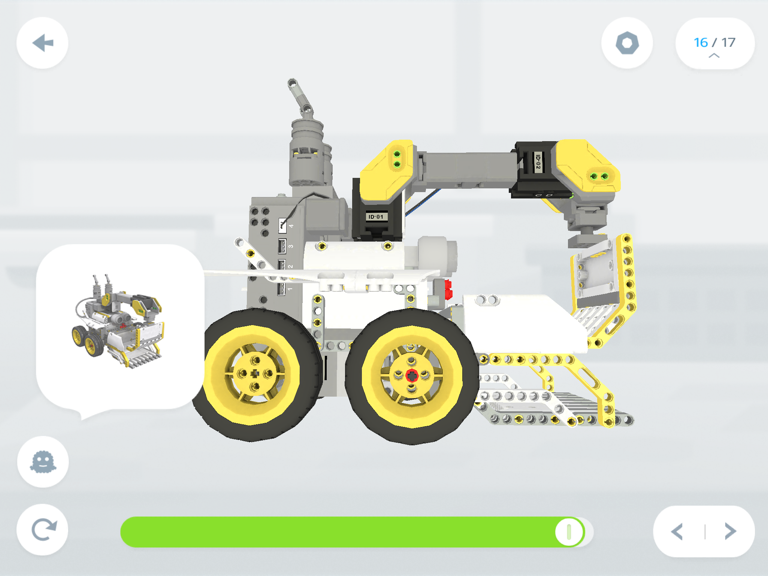 Use the easy-to-follow 3D animated instructions on the Jimu Robot free app to build your MeeBot. Then employ the app's intuitive programming function to devise an endless sequence of actions for him. Or you can use Swift to write your own code to configure and control MeeBot. When you're done, you can capture photos or videos of MeeBot in action and share them with the JIMU Robot Community where you can see and “like” other robotic creations from Jimu Robot enthusiasts around the world. The robot was more complicated to assemble than I thought it would be, making me wonder if a child as young as 8 or 9 could do it. Now that's it's assembled, The robot was more complicated to assemble than I thought it would be, making me wonder if a child as young as 8 or 9 could do it. Now that's it's assembled, I am unable to get the robot to charge and I have no idea why. No online support appears to be available and there are no printed references. I'm not sure how to troubleshoot. Looks like it will be a very expensive desk ornament. Too bad--it's a great idea! Wish I know who to contact! The app design is designed well, it's easy to navigate, and makes the process of building your robot easy to execute. 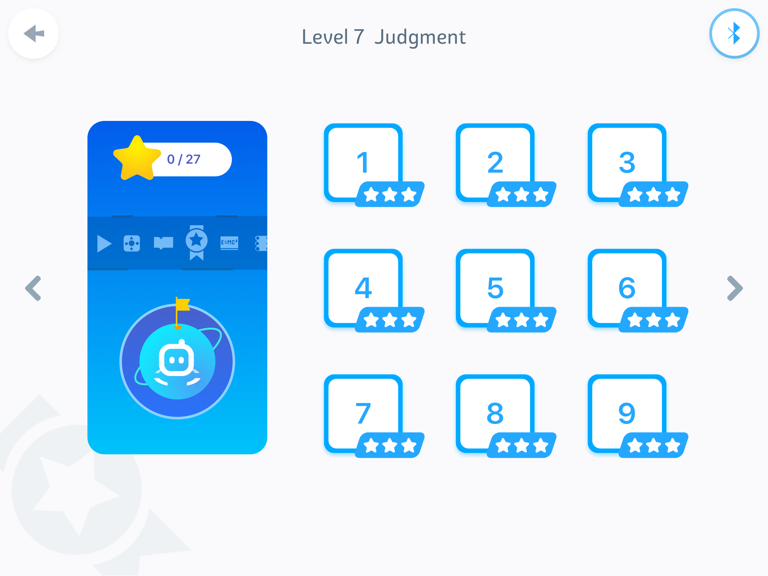 Fun product with great educational capabil The app design is designed well, it's easy to navigate, and makes the process of building your robot easy to execute. Fun product with great educational capabilities! I bought this for my son for Christmas gift and the little boy loves it! The fun parts began with building this MeeBot by using its app and then you can make it I bought this for my son for Christmas gift and the little boy loves it! The fun parts began with building this MeeBot by using its app and then you can make it dance and even do some program. This is a great toy for not only playing but learning! Considering to get an Add-on kits so my son can build more animals! Is this review useful?Great and fun product! I bought a Meebot kit for my 9-year-old nephew at Glendale apple store . He got super excited once we opened the package and we spent about 3 hours assembling i I bought a Meebot kit for my 9-year-old nephew at Glendale apple store . He got super excited once we opened the package and we spent about 3 hours assembling it. My nephew enjoys assembling it and watching it dance. He even created a hat for the robot. He is probably going to be creating his own model soon. Can you use your own music for MeeBot?